IFPA makes a number of awards, to early career investigators, to scientists/clinicians for outstanding contributions to the field of placentology and to senior scientists/clinicians for their leadership in the field. These awards are described in detail below. IFPA is dedicated to the support of early career investigators and persons in training. There are a number of awards available to support New Investigators and to acknowledge the excellence of early career investigators. The “IFPA Award in Placentology” acknowledges outstanding contributions to the field of placentology in all its aspects, including the relationship with fetus and mother by established investigators who are normally within 20 years of receipt of their terminal degree. Award: The IFPA Award consists of US$2000 plus accommodation and registration at next meeting. The awardee will be invited to present a lecture during a plenary session of the same IFPA-designated meeting. The lecture will be published in “Trophoblast Research” following normal peer review procedures. This award is presented biennially in odd-numbered years (e.g. 2017, 2019 etc.). 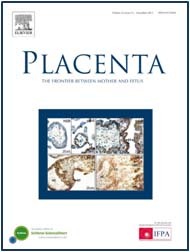 The “ Gábor Than Award” in placentology acknowledges outstanding contributions to the field of placentology in all its aspects, including the relationship with fetus and mother, by early career investigators who are normally within 10 years of their terminal degree. This award is presented biennially in even years, alternating with the IFPA Placentology Award (e.g. 2018, 2020 etc.). Award: The IFPA Gábor Than Award consists of US$2000 plus accomodation and registration for the next meeting and a bronze medal. The awardee will be invited to present a lecture during a plenary session of the same IFPA-designated meeting. The lecture will be published in “Trophoblast Research” following normal peer review procedures. The “IFPA Senior Award in Placentology” is intended to recognize the work of established senior scientists/PIs/clinicians who have lead placental research groups for a substantial period of time (as a guide to nominators/applicants, more than 20 years might be appropriate) and have made a significant contribution to our understanding of placental and reproductive functions in general. Special emphasis is placed on the requirement that nominees be IFPA members who have contributed significantly to the development, leadership and/or mission of IFPA. Awardees may also be able to demonstrate a commitment to teaching of reproduction/placenta, to the development of young placental researchers and/or communication of placental research to the public. Candidates should be proposed by at least three individuals. Award: The IFPA Senior Award in Placentology will be presented at the next IFPA-designated meeting. The “IFPA Senior Award in Placentology” represents the highest distinction of the international placental research community. There will be no monetary prize associated with the Award. The awardee will receive a certificate and a special gift as a souvenir contributed by the organizer of IFPA meeting in the year of the award. The awardee will be invited to present a lecture during a plenary session of the IFPA meeting at which the Award will be presented. The lecture will be published in “Trophoblast Research” following normal peer review procedures. IFPA will provide up to US$1500 towards the recipient’s economy-class airfare to the meeting at which the award is being given. The Andrée Gruslin Award is named in honor of Dr. Andrée Gruslin, a maternal-fetal medicine specialist and researcher who, while battling breast cancer, continued not only her obstetrical service but also drove a well-known research program until her death in 2014. She spent her life researching placental health as a way of reducing risk from conditions such as preeclampsia and intrauterine growth restriction. This prize will be offered every year to an outstanding female mid-career investigator in the field of placental or placental-related biology. As a guide, candidates should be at the assistant/associate professor level. The candidates can be nominated by others or can self-nominate. Award: The award comprises a prize of $2500 (donated by Elsevier) and an invitation to contribute an article to the annual issue of “Trophoblast Research” containing the invited reviews commissioned from the IFPA meeting that year. The article will be subject to normal peer review procedures. At the option of the IFPA meeting organizer, the awardee may be asked to present a lecture at the meeting that year. The Elsevier Trophoblast Research New Investigator Award is presented for the best Poster Presentation by a New Investigator at an IFPA meeting. This award is the oldest award made by IFPA and reflects the importance IFPA attaches to the presentation most commonly made by trainees. The award is chosen at the meeting, after the poster is presented to the judges. Award: US$1500, an invitation to present their work in a plenary lecture at the following year’s IFPA-designated meeting, and free registration and accommodation at the following year’s meeting. The winner will also receive free access to Elsevier ScienceDirect for one year. There will also be an award of US$500 for the runner-up. The Elsevier Award acknowledges the best Oral Presentation by a new investigator in the field of placentology in all its aspects, including the relationship with fetus and mother. Award: The Elsevier Award consists of an award of $1000, and free access to Elsevier ScienceDirect for one year. There will also be an award of US$500 for the runner-up. IFPA has a long tradition of career development for new investigators and encouraging new investigators to attend IFPA meetings to present their own work, hear the latest advances from experts in the field and to develop research connections. To that end IFPA provides a large number of new investigator travel awards from various sponsors (see below). We are grateful to these sponsors for providing support. New investigators are defined as students or researchers in full-time training or researchers who are within three years of their senior degree (e.g. Ph.D., M.D.). The awards are based on a review of abstracts submitted for an IFPA-designated meeting. Candidates should indicate they wish their abstract to be considered at the time of submission. New investigators should determine their eligibility (see below) and apply for these awards when submitting their abstracts. A Verification of New Investigator Status Form will also need to be submitted with the abstract, if it was not submitted with registration. This results from the generous endowment of Y.W. (Charlie) Loke, Emeritus Professor of Reproductive Immunology at the University of Cambridge and member of the IFPA and EPG. It offsets travel expenses for 40 young investigators per meeting. Award: US$500. These travel awards are to enable US-based new investigators in any aspect of placental research to attend the annual meetings of IFPA. The awards are based on a review of abstracts submitted for an IFPA-designated meeting. This award is to offset travel expenses for up to 10 US-based new investigators per meeting. Award: US$500 and above, depending on funds. These awards enable approximately 15 new investigators in any aspect of placental research to attend the IFPA meeting. Award: US$500.